The Bridesburg Memorial Day Parade is one of the oldest and longest Memorial Day Parades in Pennsylvania. After World War II, Bridesburg resident, Edward Dubeck's mission in life was to make sure people remember all service members who didn't make it home from war. In the late 1970s, the United Veterans of Bridesburg was founded by Bridesburg residents, Edward DuBeck, John 'Moose' Muszynski, and the Commanders of both VFW Post 2 and American Legion Post 821 to continue to remember those who served in defense of our American values. The mission of the Bridesburg Memorial Day 5K is to help raise funds to be sure that this special parade will continue to honor all who have served, past and present. Donations will be greatly appreciated. Race Day registration will begin at 7:00 AM and close at 8:00 AM on Saturday, May 18, 2019. 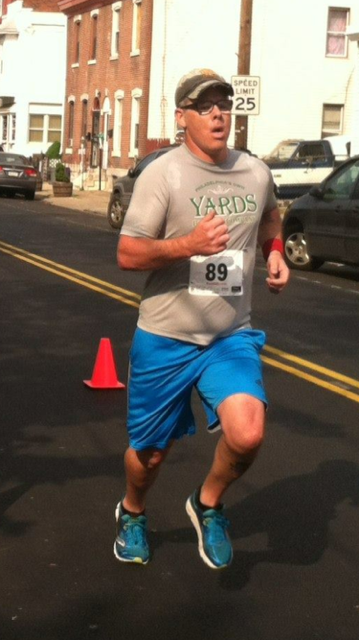 Refreshments provided post race by Yards Brewing Company, the United Veterans of Bridesburg and race administration.